The analysis, presented Monday at the annual meeting of the American College of Cardiology here and published in the college’s academic journal, found that Vascepa cut by 30 percent the rate of first and subsequent cardiovascular problems — defined as deaths from heart disease, heart attacks or strokes, procedures such as stenting, or hospitalizations for chest pain — compared to placebo in patients with high levels of particles of fat in the blood called triglycerides. That compares to a 21 percent reduction published last year in the New England Journal of Medicine, which looked at only initial heart problems. Patients were followed for a median of five years. There were 1,606 first cardiovascular problems. Those same patients had another 1,303 subsequent events, including 762 second events and 272 third events. Overall, 269 people had four or more heart problems. That could mean multiple heart attacks, or, for instance, a heart attack followed by a heart-related hospitalization followed by a death. With Vascepa, first heart problems were cut by 25 percent, second ones by 32 percent, third events by 31 percent, and fourth events by 48 percent. The analysis is considered non-standard and after the fact, and most experts will rely primarily on the main result presented last year. But Dr. Deepak L. Bhatt, executive director of interventional cardiovascular programs at Brigham and Women’s Hospital and the study’s lead author, argued that for patients and doctors, the totality of events, not just the first ones, was what really matters, and that the study helped better underscore the impact Vascepa might have on public health. Join STAT Expert Advantage to listen in on our March 20 conference call. STAT senior writers Matt Herper and Adam Feuerstein, and Dr. Michael Davidson, will discuss the new Vascepa data, its potential impact for patients, and the outlook for Amarin’s business. Some experts saw the new results as further evidence that Vascepa should see wider use in patients with high triglycerides who have already had heart problems. Dr. Salim S. Virani, an associate professor of cardiology at the Baylor College of Medicine in Houston, called the benefit “substantial” and wondered what effect included these extra events would have on cost-effectiveness analyses for the drug. Dr. Stanley Hazen, section head of preventive cardiology at the Cleveland Clinic, said the results would change the way he treats patients with elevated triglycerides. 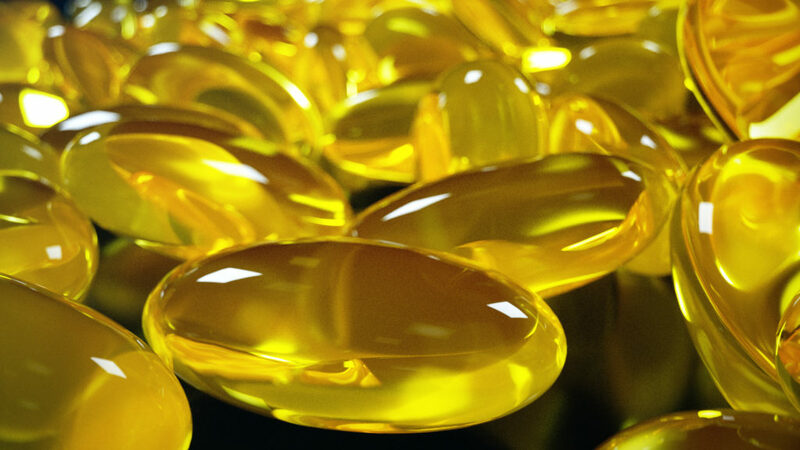 Other physicians continued to have questions about the Vascepa result, especially given the mixed results seen with past analyses of studies that used lower doses of other fish oil formulations. Dr. Jennifer Robinson, a professor in the college of public health at the University of Iowa, said the new analysis does not change her thinking about the drug. “I think we’re all wondering if it’s real,” she said. Other have argued, Robinson noted, that the mineral oil placebo used in the study might have been harmful, raising levels of c-reactive protein, or CRP, a marker of inflammation. She expressed uncertainty about this idea, because mineral oil is widely used as a laxative, but she also pointed out that CRP went up in other studies of Vascepa. No one is alleging that this explains the entire benefit seen in the study, but it may have exaggerated it. More concerning to Robinson was the lack of an understanding of how Vascepa would be working to reduce heart attacks and strokes. It doesn’t have the effects one would expect on lipid measures like the protein APO-B. Was the result explained by the drug’s blood thinning properties? By a potential to prevent arrhythmias? She said that she hopes she will learn a lot more about fish-oil-derived drugs from a study called STRENGTH, being conducted to test the AstraZeneca drug Epanova. Results are expected relatively soon. “I hope it’s real. I don’t think we can say anything meaningful until we see STRENGTH,” Robinson said. Still, she said, she is glad to have another option in her armamentarium in the meantime. Bhatt is presenting a new analysis that shows that as patients’ triglycerides increased, there was some tendency for the drug to be more effective — although the differences are not statistically significant. He argued that the high level of statistical significance seen and the fact that a previous study of a similar formulation conducted in Japan also delivered a significant result should give researchers comfort. “Doctors like to think they know the mechanism of action [of a drug,” Bhatt said. But such knowledge, he said, often takes years from the time a medicine’s benefits are documented. Dr. Kim Williams, a former president of the American College of Cardiology and a devoted vegan, had a different take on the results, which he said were consistent with the results of studies of diets like the Mediterranean diet, which includes eating lots of olive oil and fish. “Should we be focusing on another drug with incremental value or should we be measuring that to what we can do with lifestyle?” He argued that changing the way people eat could have a bigger impact than another new medicine.